Shopping for a home is exciting. You spend time looking at amazing photos of homes, dreaming about your future life there. You can see the kids swinging under the tree and the many cups of coffee shared among friends in the kitchen. Once you get into the thick of home shopping, you might be surprised with a lot of things you were unaware of. Here are 10 things you never knew about home shopping in Floresville. Sellers often consider offers from buyers who they confidently feel will be able to execute the transaction. This means they can get the loan funded. When a seller sees a pre-approval letter, they know the lender has reviewed the credit, debt and income and verified everything to approve the loan. Pre-qualified is merely a high-altitude overview. In these days, a pre-approval letter is required with all offers; listing agents will require it to be submitted with the offer. That helps the seller know that the buyer is ready to buy. If you are new to real estate and still under the belief that everyone is underwater on mortgages, you’ll be surprised to learn that many properties sell with buyer-frenzied offers. Properties are often strategically priced to get more eyes on the home and thus more offers, many of which can be for thousands over asking. At this time the San Antonio area is in this type of situation. The availability of homes in the lower price range is very limited due to our growth so it is common for there to be bidding wars on some price ranges. Buyers often become sad when inspection reports show them everything wrong with the home they are buying. 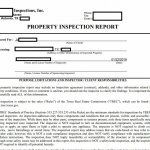 Inspections should be viewed as a negotiation point for realtors to go to the sellers and ask for price reductions or credits. It is possible the seller will fix items but the reality is most things are minor and buyers should happily take the credits, especially if they are handy and can change a toilet flush handle on their own. Sellers can get over-confident as escrow progresses and prematurely start to plan the move in. This might include financing furniture or getting a home improvement store credit card. Many loan funding is pulled the day before escrow closes because when the lender re-runs credit to finalize everything, he will see a ding on credit and possible new debt that throws the debt-to-income numbers out of whack. Just wait an extra week – really… life will be okay if you wait. Buying a brand new home where the paint hasn’t even dried. Don’t waive those inspections. There are still things that inspectors will find, usually minor items that need to be fixed. And if the inspector finds a major issue because something wasn’t built to code, you’ll need to know that before you commit. Okay, so we are getting a little Zen-hoaky here. But hear us out. New listings get the most attention, especially in the first days of being on market. After several weeks, a listing may become what Realtors® call “stale.” This means interest drops. You can start to read patterns of when home prices will drop or make an offer on a stale listing below list price. You might be able to Zen your way to a deal. Eager to find a home but can’t find one to buy? Got that pre-approval letter with no place to make an offer? Believe it or not, these aren’t uncommon problems in the real estate market. Summers tend to be busier seasons with the good weather making shopping better and summer vacations making relocation more manageable. Seasons slow for holidays when people don’t want prospects walking around the Christmas tree. That being said, buyers and sellers during the holidays tend to be more legitimate, eager to make a deal. Shopping for a home in Wilson County, Atascosa County or Guadalupe county is a different ball game than San Antonio. We are rural counties which means we have different living conditions than a large city. What do you ask? Most of the homes are not inside the city limits so that means they will have septic systems. Rural water or water wells. HOAs are different. Foundation issues are different. Deed restrictions are different. We allow horses in some subdivisions. We allow mobile homes in some subdivisions. We have no basements. We have no snow but we do have HEAT. The Sheriff’s department services the county not the city police. We have volunteer EMS in most areas. We have volunteer fire departments. Different rules when being building such as electrical codes. You will find things such as different electrical codes between all the cities from San Antonio to Cibolo to the outlying counties. Make sure you hire an agent who understands those things. Everyone is always looking for a perfect location that is safe and in a good school district or near things they do. Great! But just because you hear something about Floresville doesn’t mean every part of that city is bad or good. There are good and bad pockets in all cities. Consider the neighborhood, not just the zip code. While this is good advice in larger cities such as San Antonio, it doesn’t apply as much here in Wilson County because all of Floresville is 78114, all of La Vernia is 78121, all of Poth is 78147 and all of Stockdale is 78160. And all the schools are the same schools. The only exception is in Floresville where the primary school has gotten so large it was split into North and South campuses. An agent should be able to tell you which school the younger students in Floresville will attend. A Realtor® abides by a code of ethics that means there are certain things they have take into consideration such as fair housing laws so do not expect a Realtor® to rate subdivisions for you. A buyer must do their own due diligence in determining what area means their specific criteria for living. But that being said there is always areas that will appreciate in value better than others due to livability factors. As your Floresville Real Estate agent I am familiar with Wilson County and this area so would love to help you!